The last week that I have walked the Camino de Santiago has been a time of great reflection for me. 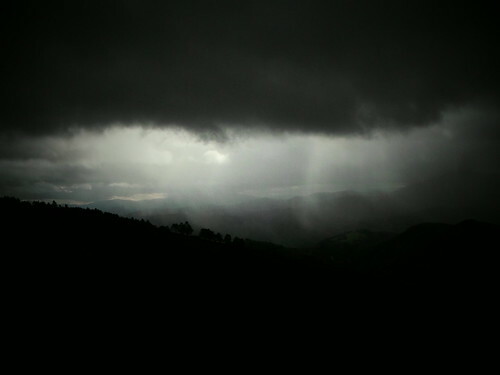 Once I reached the windswept mountains of Galicia, it was impossible to ignore that the Camino was coming to an end. When I reached the 100 km mark four days ago, I decided to separate myself a bit from Joey and Carly, who had been my awesome companions when I ascended Dragonte. I think there was an unspoken accord between us that although we had grown close over the several days we had walked together, the truth was that this final stage was meant to be done in solitude. And so it was—I kept my head down most of the time and began to reflect on this journey. Chances are you found my blog because of this Freshly Pressed article, and I spent most of the last few days trying to answer the question I asked then: Why is a Sephardic Jew walking the Camino de Santiago? Perhaps the question needs to be reconsidered. Being a Sephardic Jew has as much to do with me as Catholicism has to do with the Camino de Santiago. That is to say, neither of these things are related to the 1,678 km (or something like that) which I traveled from Vezelay to Santiago. The human race is afflicted by an unnecessary impulse to quantify, to categorize—we are diseased accountants who cannot escape this propensity to label A as A and B as B. There is no A, there is no B. There simply is. As I have sat here struggling for the past few hours to answer this question, Mila, who I met several days ago and then bumped into again upon arriving in the city, asked me why I needed to have a response so soon after walking. Which of course, lead me to think: Why does there need to be answer? Maybe the duration of this journey, literally every hour that I spent between August 18 and October 25, 2013, is the answer. Depending on how you see the world, your answer for why I decided to walk the Camino de Santiago will be different. And that’s totally fine. But I think it’s a bit of a cop-out to conclude a journey of a thousand miles with a question mark, and I do have some solid bits of truth to dish out. 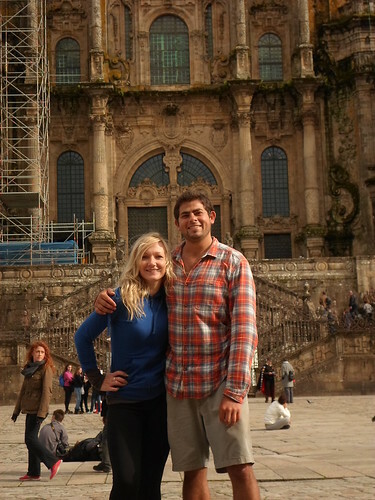 First and foremost, the Camino de Santiago absolutely restored my faith in humanity. Strangers gave me directions when I was lost, gave me food and water when I was hungry and thirsty, gave me rides to the next town when I was exhausted and incapable of continuing (this was a problem during the manic first few days I had), gave me friendship when I was lonely. Second, I contained my entire life in my backpack and managed to lose several items along the way, yet still I stand. Life is as simple as you want it to be. And lastly, most of what we learn we already knew beforehand; by this, I mean the name of my blog. Four months ago I chose it because it seemed catchy, but also because somehow without ever setting foot on the Camino itself, I knew it to be true. 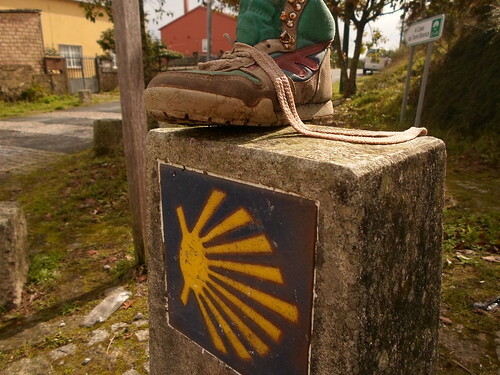 The Camino de Santiago is but one tiny fraction of my life, but Life Is A Camino. And mine has only just begun. 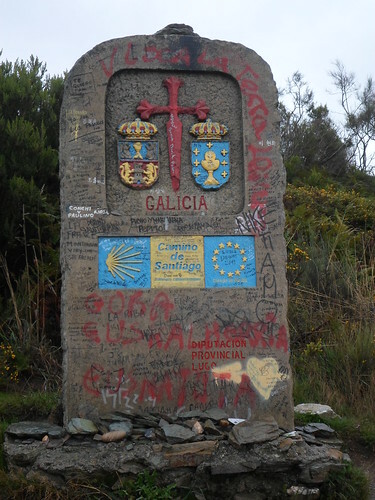 Posted in Camino de Santiago, ReflectionTagged backpacking, happiness, meaning of life, photography, pilgrimage, Spain, travel, Way of St. James, Why?Bookmark the permalink. Congratulations, Nathan. I thoroughly enjoyed reading your blog. Congratulation, Nathan. I am excited for you. and can’t wait for your next adventure ! Congratulations Nathan. It was great to follow you on your path. What’s next? 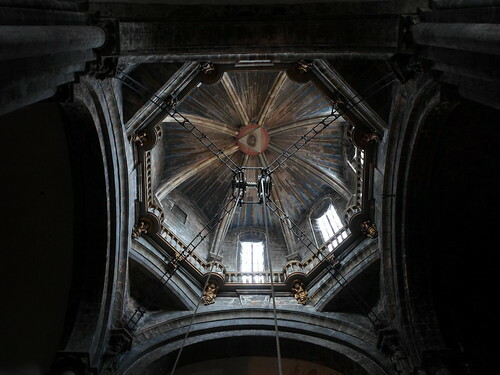 I have 9 more days in Spain, so you’ll just have to see–then I’m off to Dublin. You will probably reflect on this journey for the rest of your life and a mythology will grow up around it as all our big adventures tend to do/have. As you grow older and the view back gets longer it may even mean more than you can now imagine ….. I think what is important is that you did it. You didn’t just think about doing it, start and then stop when it got to difficult or read about someone else doing it [ 🙂 ] You did it!! Congratulations and best wishes for your further travels and adventures! And thank you for taking us along with you, it has been a joy! Beautiful and Congrats on reaching Santiago! I struggled with the same questions during my last week or so on the Way and only now, 2 weeks after I returned to Canada, am I fully digesting what the journey really meant to me. I miss it, truly. 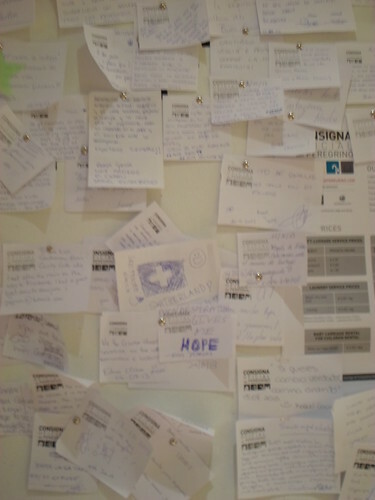 Thank you for writing and safe travels on the Camino of Life, my friend! Hi Michelle, thank you for your kind wishes. It is an incredible journey and I won’t be surprised if either of us ends up walking it again! It offers so much possibility to the person willing to walk it. I agree. It takes courage to walk it and it takes even more courage to keep walking it once you have left. Nathan, the Camino just showed you the way. You’re just getting started. PJ and I are proud of you and everything that you’ve done. Can’t wait until the visit in the Ardeche! Thank you guys! I can’t wait either! It’s an amazing journey. And sitting here, I am inspired by your words. We often know the answer to our questions but have to travel a while to know that. Thank you! So, you’ve done it. Now the real journey will take place. Your long walk will inform the rest of your life. It will always be something you will have. Best of luck on the rest of your life, Nathan. I´m glad you came to realize that! I certainly will enjoy wherever the road takes me from this point forward. The road is the question and the answer. Thanks for following. Congratulations and good luck with the next life adventure!